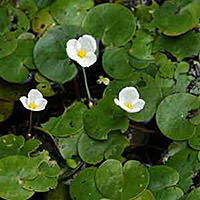 Invasive Species Alert: European frogbit has been detected in Great Lakes waterways along southeastern Michigan, in Lake Huron and in western Michigan lakes. This invasive species is not listed on the Midwest Aquatic Plant Reference Chart that was distributed to the membership in 2015. Posted on January 22nd, 2017 in Issues.